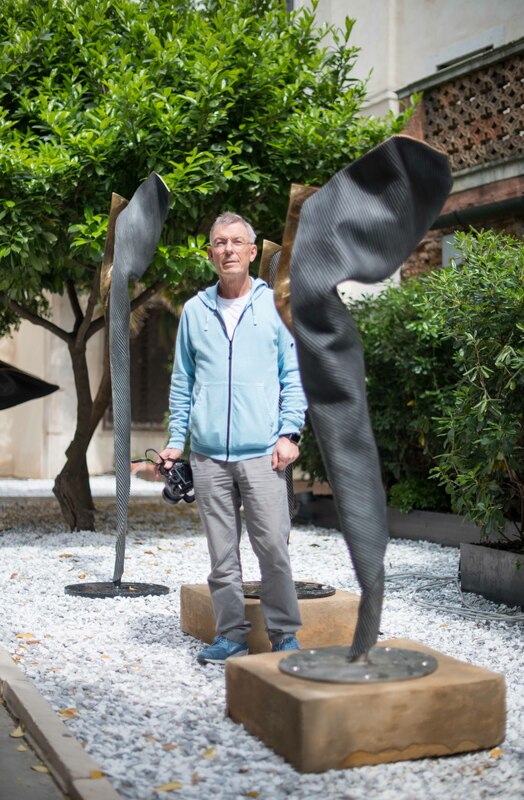 “We Are”, a sculptural installation by contemporary artist Andrew Rogers, will be unveiled on Thursday 11 May in a collateral exhibition to the 2017 edition of La Biennale di Venezia – 57th International Art Exhibition. 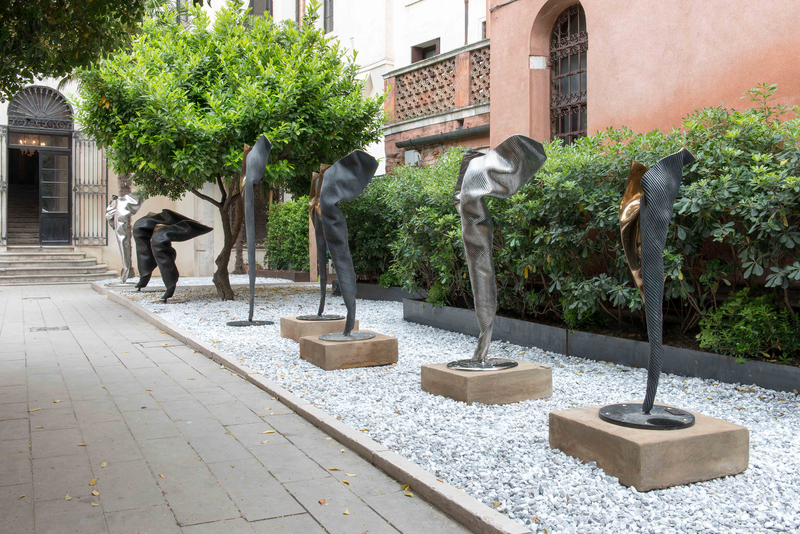 Comprised of eight large bronze and stainless steel sculptures, this installation is a further iteration of Rogers’ series titled “I Am”. Presented in part by the Global Art Affairs Foundation; the work will be on view through until November 26, 2017, at Palazzo Mora in Venice, Italy. Rogers’ practice explores human emotion through the light, organic forms that define his sculptural works, as well as the importance of the individual in affecting change. The artist sees the works in the series “I Am” and its derivative “We Are” as a metaphor for the dichotomy of human nature. The rough, undulating, organic outer surfaces that represent our physical selves are in direct contrast to the delicate, polished interiors reflecting the internal personal world of our thoughts. The work philosophically relates to Rogers’ ongoing series of geoglyphs – large-scale land-art installations for which he is best known. To date, the project – titled Rhythms of Life – encompasses 51 major stone sculptures across the world, which act together to create the largest contemporary land art project. Each individual geoglyph is an act of collaboration between Rogers and the local community in which it is situated – as they work together to find and create a symbol that is significant to each respective region and people – and yet as a group they form a set of drawings across the earth visible from space. Over the years this project has involved over 7,500 people in 16 countries across all seven continents and continues to grow. The GAA Foundation is a Dutch non-profit organization that aims to heighten the awareness about the more philosophical themes in contemporary art, architecture and in culture in general.